Welcome to Old Saybrook, Connecticut, where the Connecticut River meets Long Island Sound. We are one of the oldest towns in the state, incorporated on July 8, 1854. We have a long history dating back to 1635 when we began as an independent colony known as the Saybrook Plantation. Yale University was founded in Old Saybrook as the Collegiate School for the education of ministers in 1700. 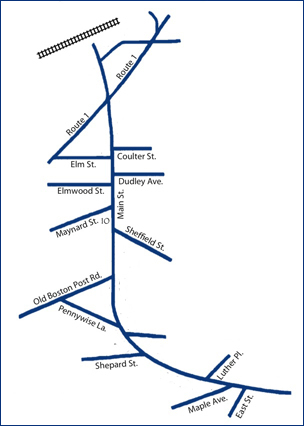 We are a community of approximately 10,000, located in Middlesex County, on the West side of the river, 105 miles from Boston, 101 miles from New York and 45 miles from Hartford, with easy access to I-95 and Route 9. There is a conveniently located Amtrak railroad station with frequent connections to New Haven, New York and Boston. Shoreline East, the commuter rail also stops at the station. 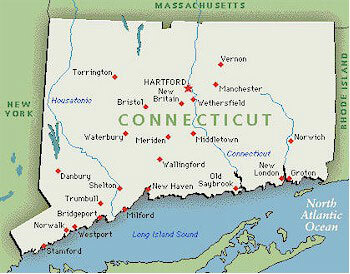 We are nearby to many attractions such as the casinos, theater, Mystic Seaport & Aquarium, just to name a few. Old Saybrook offers beautiful shores, vistas, marinas and an eclectic collection of shops and restaurants on Main Street and nearby. There are also two public beaches and several parks within the town, and a mini-golf course at Saybrook Point, operated and maintained by our Parks & Recreation department. We have a number of boat marinas and a state-owned boat launching area. Old Saybrook is governed by a three member Board of Selectmen, seven-member Board of Finance, and the legislative body at Town Meeting. We currently enjoy a mill rate of 19.26 based upon an assessment ratio of 70%, which is the second lowest mill rate in the State of Connecticut. Property, at present, consists of 4,899 dwellings, 477 condominiums and 11,935 motor vehicles. Approximately 32% of our population are seniors. Our educational system ranks as one of the best in Connecticut with an enrollment of 1,569. The town has worked hard to maintain its small town atmosphere by controlling growth and providing for open space. We have worked to revitalize Main Street; renovate our public buildings such as our library, firehouse and town hall to provide services ensuring quality of life for all of our citizens. The Katharine Hepburn Cultural Arts Center offers a variety of live theater and music. Old Saybrook is one of the most beautiful towns in New England. Please come to visit us in person. You are welcome in Old Saybrook, where the Connecticut River meets Long Island Sound. The Old Saybrook Chamber of Commerce and Old Saybrook Historical Society are pleased to present a Historic Walking Tour Guide. Stroll our Main Street for up-close views of historical homes and other highlights unique to our town, like a former tavern turned-pharmacy still serving ice cream at its original counter (#23 on the map) or the Katharine Hepburn Cultural Arts Center (#13), as well as examples of varying styles of architecture, including Federal, Victorian, and Saltbox. The walk follows Main Street between the railroad station and Mill Stone. Download our Historic Walking Tour Guide (pdf). 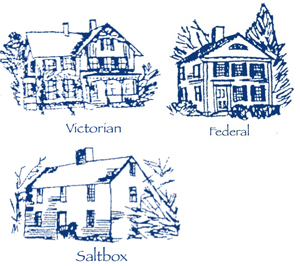 More detailed information on the History of the Old Saybrook Colony and the town of Old Saybrook is available from the Old Saybrook Historical Society (#21).